As seen in the video below, users have to move the unwanted apps into a folder, and then drag them as far to the right as possible, beyond any and all of the folder's tabs. 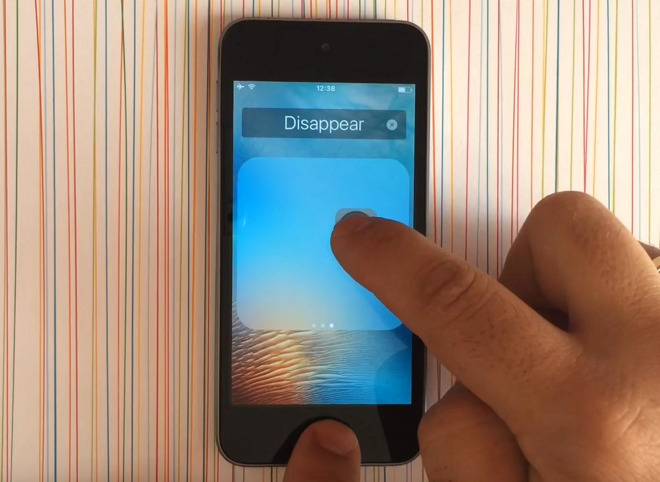 With an app still suspended "mid-air," hitting the Home button simultaneously will cause it to vanish. Apps hidden this way aren't permanently deleted —instead, they return only once an iOS device is rebooted. Simply putting a device to sleep leaves them invisible. Another trick will permanently conceal apps by way of invisible folders, but this involves a more complex set of steps, and using gray wallpaper to complete the illusion. In September, Apple CEO Tim Cook said that the company is working on a way of removing some default apps. Other apps may have to remain however, as they're connected to critical iOS functions.